Sometimes a headscarf is just a headscarf…. When I was nine, I came out as an atheist. This was in 1964, and we were living in Newfoundland, where the schools were all run by churches. My family didn’t go to church. My parents were agnostic, although they brought us to services at the United Church so we could make our own, informed decisions in the matter. When I was eight and had reached the traditional age of reason, we held a family conference and decided by consensus to stop going to church altogether. Within a year I had followed my older sister and brother in declaring myself an atheist. At first, that declaration was simply to myself, to my family, and to my best friend. It soon became impossible, however, to maintain my cover. In Religion class in grade four or five, we were all given two-page forms in which to name and describe the church we attended, the name of our church organist, etc. I filled in all the blanks, “N/A”. (I was that kind of a kid, even then.) When she saw my responses, my teacher kept me after school to give me a talking to. It did not go well for her. When I informed her of my atheism, she asked me where I thought the rocks and the trees had come from. I tried to explain the Big Bang theory to her, at which point she gave up and let me go home. That year, as I recall, I came first in my class in Religion. I was reading books at home on archeology, so I knew where Mesopotamia was, and the origins of the word “Paradise”. I was that kind of a kid. My next brush with the religious police happened when I refused to stand for the Lord’s Prayer in school assembly. One little boy sitting down among maybe 400 kids: great way to make yourself popular. I remember spirited arguments with my classmates in the schoolyard, and them asking me why I didn’t just stand out of respect for their beliefs. I said that I’d be happy to do so, on the day that they all stood out of respect for my atheism. Freedom from religion was the earliest ideological fight I entered, and the occasion of my first acts of political resistance. At that time in Newfoundland, as we would learn just a few years later, boys were being sexually and physically abused by the Christian Brothers who ran the Mount Cashel Orphanage in St John’s, where the provincial government placed wards of the state. Newfoundland, like Québec, has a painful history of the coercive imposition of religion. In 1998, after fourteen years of legal and political struggles, including two referenda, Newfoundland finally abolished denominational schools. Like Québec, Newfoundland is a relatively late adopter of the principle of a secular state: what in French is called laïcité. That word comes from the same root as the English adjective “lay”, used to designate that which is not explicitly associated with institutions of religion. The concept of laïcité emerged in France as a result of the French Revolution and represents the rejection of the state power exercised by the Catholic church under the ancient regime. The resolute separation of church and state – including bans on open displays of religious belief within public spaces such as schools – was a means of closing the door on centuries of absolute rule by totalitarian institutions of religious control. The term has acquired recent currency in Québec, in the course of debates over “reasonable accommodation” of cultural and religious diversity. Since its election as the provincial government in 2018, the Coalition Avenir Québec has introduced a law to ban displays of religious belief by public employees in their place of work, including employees such as teachers and bus drivers. Québec’s break with coercive religion happened within living memory – within my lifetime – as part of the Révolution tranquille. The Quiet Revolution manifested at the state level in the election of the Liberal government of Jean Lesage in 1960, which took more direct control, from the churches, of education and health care. By invoking the term, laïcité, the CAQ is pressing powerful cultural buttons in Québec, and stirring people’s memories of a painful time in the not-too-distant past. It implies that continuing to allow school teachers to wear hijabs (or Sikh turbans, or an Orthodox Jewish yarmulke or kippah) would be the start of a slippery slope back to the days when Québecers were taught by nuns in full habit, with a crucifix prominently displayed at the front of the class. It is not just France and Québec that share a history of taking a radical turn away from state-endorsed religion. In the twentieth century, some majority-Muslim countries – notably, Turkey under the modernising reformer Kemal Atatürk – took comparable steps to secularise public life. Turkey enshrined the principle of laïcité in its penal code in 1937, and Atatürk discouraged the wearing of headscarves by Muslim women – although an outright ban on headscarves in public institutions only came into effect in 1980. Other Muslim-majority countries that have banned various forms of religious veiling include Tunisia in 1981, Kosovo in 2009, Syria in 2010, and Algeria in 2018. In the more recent examples, such bans tend to follow a long period of cultural secularisation not enforced by law; they have tended to precede periods of resurgent religious observance and display. The recent bans are evidently efforts to forestall religious radicalisation; they do not appear to have been successful in that effort, but rather to have provoked more militant resistance by religiously observant Muslims. Over the course of the twentieth century, there was a dominant cultural trend towards secularisation, both in the developed world, and in developing countries that sought to achieve the benefits of modernisation. Women freely wore bikinis, and not burkinis, on the beaches of Indonesia and Tunisia. For the most part, this proceeded – and succeeded – by cultural influence and not by legal fiat. In most liberal democracies, and in English Canada in particular, secularisation has advanced incrementally, over a long period of time. While some remnants of an earlier religious order may remain in effect – the Church of England is technically the established church in England, with the Queen at its head – in most respects the state abstains from enforcing or endorsing any particular religion, and the visible display of a minority faith is less and less a barrier to public employment or public office. The exception among developed countries to this trend – as it is to so many others – is the United States. That original champion of the separation of church and state began to slide in the 20th century. “In God We Trust” was adopted as the nation’s official motto in 1956; the National Prayer Breakfast began in 1953, and every President since then has participated. Kennedy demonstrated that a Catholic could be elected President: it is not at all clear now that an agnostic could. Sit in the public gallery in Canada’s Parliament, however, and you can look down on Conservative MPs wearing blue turbans and Liberal ones wearing red. In these cases, the turban’s religious significance has been partly subsumed under a declaration of party affiliation, comparable to the wearing of different coloured ties. Sikhs, who constitute one of the largest and oldest diasporic religious communities in Canada, have been in the forefront of breaking down prohibitions on the visible exercise, by public employees, of religiously prescribed dress. Mounties have been permitted to wear the turban since 1990, and it seems that most Canadians no longer find that remarkable – nor do they experience it as an endorsement of Sikhism by the state. Many Canadians perceive religious display of that sort as a form of cultural difference, one to be accommodated within the officially sanctioned policy of multiculturalism. So why the move to legislative bans on religious display now? There is an illusion of reasonableness about the current invocation of laïcité. I am sure that many Québecers are sincere in believing that such a ban reflects and defends a hard-won principle of the Revolution tranquille. To them, I would point out that the secularisation of Québec seems to have been securely implemented for over half a century now, without the need for such legislation. What problem is this trying to solve? It was the state imposition of Catholicism that had to be overturned in Québec. 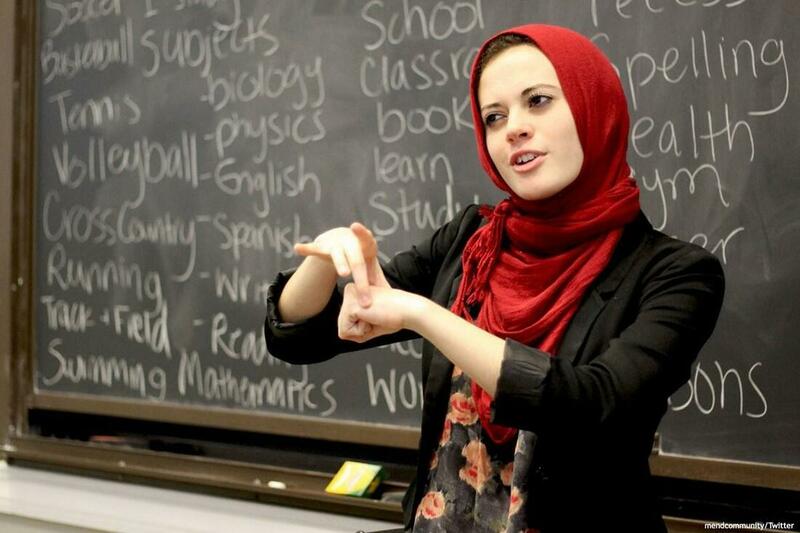 Do people really believe that Islam is going to be instituted now as a state religion – or even mistaken for one – because some teachers are wearing headscarves? If such a law was not needed to achieve radical secularisation of Québec society in the 1960s and 1970s, it suggests that the current vogue for laïcité has less to do with basic principles than it has to do with majoritarian discomfort with the visibility of cultural minorities. There is considerable hypocrisy at play, as evidenced by the government’s resistance to ending the display of a large crucifix in the National Assembly. (They say they are going to move it now, to another part of the building: they have not decided where.) When others do it, it is egregious religious display; when we do it, it is honouring our heritage. The concept of “religious display” also deserves critical scrutiny. Conveniently, with the exception of priests, ministers, and people in holy orders, Christians are not generally obliged by their religion to do anything that makes them visibly Christian. It is easy, therefore, to conflate the idea of religious display – like, say, wearing a T-shirt that say “Hey, I’m a Muslim/Sikh/Jew and you should be too” and religious observance. Orthodox Jews don’t wear a kippah to advertise Judaism, or to win converts: that is not really something that Judaism does. They wear it because they believe they are commanded to by their faith. Asking them to exercise their religion solely “in private” effectively means asking them not to practise their religion at all. There is confusion, at the moment, about exactly what constitutes a religious display under the proposed law. This morning I heard a Québec cabinet minister on CBC’s The Current declare that dreadlocks are not a religious symbol. Try telling that to a Rastafarian. How are the authorities who enforce such a law to determine when a certain way of dressing is a religious display? A woman might cover her head because she has lost her hair through chemotherapy. Will she need a note from her doctor to be exempted from the ban? It may surprise the reader to learn that, while I remain happily and proudly atheist, people who are devout in a particular religious tradition comprise a large proportion of the people who have been most dear to me in my life, be they liberation-theology Catholics or Sufis. The more that their religion serves as a vehicle for a profound spirituality, or a commitment to the Golden Rule – rather than a rigidly orthodox ideology – the less we have to argue over. When the Nazi occupiers of Denmark decreed that Jews must wear a yellow Star of David to identify themselves to the authorities, many non-Jewish Danes showed solidarity by donning it themselves. It effectively made it impossible for the occupying forces to isolate Jews from the general population, and as a result a much smaller proportion of Danish Jews were sent to concentration camps that of those in other occupied countries. A possible form of resistance to the proposed Québec law, and laws similar to it in other jurisdictions, would be for many people, regardless of faith, to wear items generally associated with specific religions. While I don’t normally encourage this kind of cultural appropriation, it might be interesting for non-Jews to wear beanies to work; for non-Muslims to wear headscarves, etc, and to dare anyone to distinguish between those who are dressing a certain way as a religious duty, and those who just like the look. To paraphrase Freud, sometimes a headscarf is just a headscarf.